Deep Purple had been signed to EMI since their debut release “Shades Of Deep Purple” on Parlophone in 1968 and subsequently moved to the more appropriate new progressive Harvest offshoot in 1969 for “Book Of Taliesyn”. By 1971 Deep Purple’s members were consistently writing and creating their own side projects as well as working with and ‘discovering’ other artists whose music they liked and admired. Consequently, Deep Purple’s management team suggested they create their own label for these projects and negotiated a distribution deal with EMI. 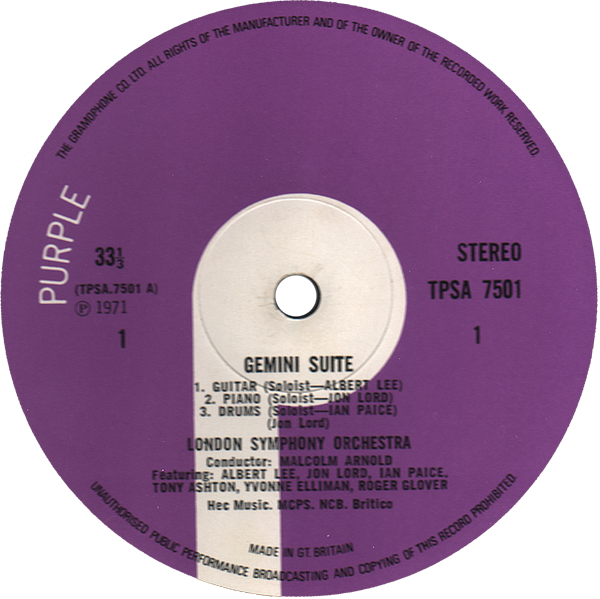 Initial releases on the Purple label in 1971 featured diverse acts such as Curtiss/Maldoon, Rupert Hine and Buddy Bohn as well as Jon Lord’s own debut solo recording of the ‘Gemini Suite’. Deep Purple’s first group release on their own label was “Machine Head” in 1972. The label would continue to release Deep Purple recordings as well as other artists and even the occasional ‘eccentric’ recording (e.g. “Colditz”) until the band’s demise in 1976. Subsequently, a few compilation/live albums and the first David Coverdale solo albums would be the final releases until the label was finally shelved in 1979. 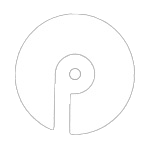 As with the Harvest label, EMI printed its legal entity as “The Gramophone Co. Ltd” on Purple Records labels and sleeves until the latter part of 1973, subsequently changing this to “EMI Records Ltd.” in 1974. 3 exceptions exist to the above system, “Colditz” was given a TPSM 2001 catalogue number, “24 Carat Purple” was given TPSM 2002, and the 1973 ‘label sampler’ “Purple People” was given TPSS-1. All sleeves were printed by Garrod & Lofthouse and nearly all carry the printers date code: e.g. GL7111, meaning that the sleeve was printed in November 1971 – a useful secondary measure of determining the approximate chronological release dates along with the catalogue number. where can I get a list of Purple records singles?